Three people were shot and killed in a shooting spree in downtown Fresno, California on Tuesday before he was apprehended by authorities. The suspect is also believed to be responsible for a Motel 6 killing last week, the Fresno Police Department said. 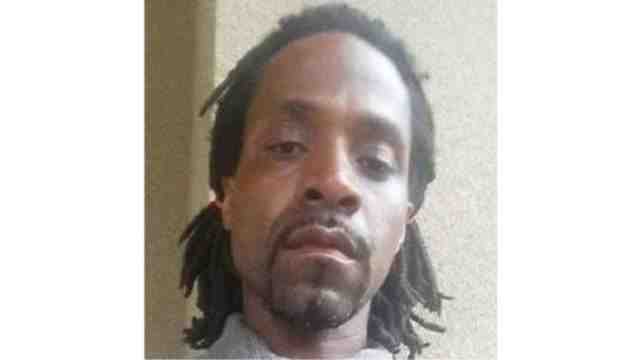 Kori Ali Muhammad, 39, shouted “Allahu Akbar” as police tackled him to the ground after killing people at random which were spread out over four different locations, Police Chief Jerry Dyer said. Police have not stated whether this was believed to be an act of terrorism or not. The police chief added that he is racist against white people. “He does not like white people, and he has anti-government sentiments,” the chief said. A witness said the suspect carried a large handgun and shot a man repeatedly in a front yard on Fulton Street north of Nevada Avenue, then reloaded at a bus stop south of Nevada. The witness stated that the suspect got into an SUV with an unknown female driver and sped away Fresnobee reported. The first gunshots were heard around 10:45 a.m. Muhammad shot into a PG&E vehicle killing the passenger. The driver sped away and drove to Fresno Police headquarters where he told the police what was happening. Muhammad continued walking down the street and opened fire at another bystander but missed. Shortly after, he encountered a third person and shot and killed them. He then continued to the area of Catholic Charities where he shot and killed an additional person in the parking lot. Our hearts are very heavy today, as we have lost a member of our PG&E family. Our thoughts and prayers are with the family of our employee, and all those impacted by this tragic event. Public and employee safety is always our top priority. While we focus on safety every day, no training or protective equipment can prepare one for events outside of one’s control. We are cooperating with law enforcement authorities as they investigate the incident. Mohammad’s alleged youtube channel has been found with some interesting disturbing videos. In one of his videos, he raps about killing white devils wearing a cross over his head. NextTurkey To Confiscate Gold, Push Centralized Gold Standard!